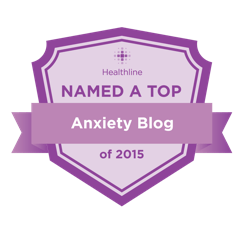 Anxiety disorders are one of the most common forms of psychopathology among young people, with prevalence estimates ranging from 5% to 25% worldwide. Of these types of disorders, separation anxiety disorder (SAD) is the most frequently diagnosed early childhood disorder, roughly making up 50% of the referrals for mental health treatment of anxiety disorders. Specifically, the American Psychiatric Association characterizes SAD as having “developmentally inappropriate and excessive anxiety concerning separation from home or from those to whom the individual is attached.” Children exhibiting SAD symptoms become considerably distraught when separated from their home or attachment figure (usually a parent) and will often take measures to avoid separation. This specific fear is usually demonstrated through a disproportionate and constant worry about separation, including anxiety about harm coming to a parent or the child when they are not together, as well as an intense fear that the parent will leave and never return. Seventy-five to eighty percent of children who refuse to go to school have separation anxiety. Although normal separation fears are outgrown by age five or six, SAD usually begins between the ages of seven and 11-years-old. It can occur fairly suddenly among children who previously had no problems with separation. SAD is usually only diagnosed if fears persist with very extreme reactions beyond that expected for the child’s age. So, how do you know if your child has SAD? School refusal and tardiness are common indicators of SAD. A child with SAD may be distressed once in school, as well as restless and nervous, even complaining of stomachaches, headaches or nausea. The child may also make regular trips to the nurse’s office, and ask to call her parent or to go home. The child may not also eat or drink in school, and possibly ask for repeated consolation about safety. Generally, the child experiences significant relief when the parent takes her home from school. Change in environment. In children prone to separation anxiety, it is possible that changes in surroundings – like a new house, school, or day care situation – could trigger SAD. Stressful situations like switching schools, or the loss of a loved one, including a pet, can trigger SAD. Over-protective parent. In some cases, SAD may be an indicator of the parent’s own anxiety because parents and children can feed one another’s anxieties. If it seems like your child’s SAD happened overnight, the cause may be something related to a traumatic experience rather than SAD, although they may look very similar. So, how can you as a parent help your child with SAD? Educate yourself about SAD. If you learn your child experiences this disorder, you can more easily empathize with her struggles. Listen to and respect your child’s feelings. For a child who might already feel isolated by her disorder, just listening to her may have a powerful healing effect. Talk about the issue. It’s healthier for children to talk about their feelings. They really don’t benefit from “not thinking about it.” Be compassionate, but also remind the child that she survived the last separation, and discuss her feelings regarding separation. Provide a consistent pattern for the day. If your family’s schedule is going to change for the day, discuss it with your child in advance to help with predictability. Set limits. Listen to your child’s feelings regarding their separation fears, but also let them know that there are rules for the household that need to be followed. Offer choices. Your child may feel more of a sense of control if she has some sort of choice in her interactions with an adult or another peer. Keep calm during separation. Model the behavior you want to see from your child. This may help her keep her cool, as well. Support the child’s participation in activities. Inspire your child’s confidence by cheering her on to participate in healthy social and physical activities. Help a child who has been absent from school return as quickly as possible. Work towards a full day of school by taking half or partial days, if necessary, to help your child feel reassured she can endure the separation. Praise your child’s efforts. Even the smallest accomplishments in this area should be embraced with positive reinforcement. Working on some of these skills and practicing patience with your child can go a long way. But some kids with SAD may need professional intervention. To help you decide if you need to seek help for your child, look for extreme symptoms that go beyond the milder warnings signs, which may include: age-inappropriate clinginess or tantrums, constant complaints of physical sickness, withdrawal from friends, family or peers, refusing to go to school for weeks, an obsession with intense fear or guilt, and extreme fear of leaving the house. Ehrenreich, J., Santucci, L., Weiner, C. (2008). “Separation anxiety disorder in youth: Phenomenology, assessment, and treatment.” Psicol Conductual, 16(3), 389-412. Great info! My son suffers from severe anxiety disorder with OCD tendencies and SPD. Separation Anxiety is one of the many issues we have had to overcome. We used most, if not all, of your suggestions unfortunately his anxiety was too severe for just behavioural modifications. However, now that he has had medical intervention, many of your suggestions are working with great success! Great article! A very informative one. Yes, separation anxiety is really one of the many issues nowadays. It should properly treated and be given attention. Thank you for the great article! My son suffers from separation anxiety and he is extremely dependent on me. I hope it gets better when he grows older, though he has some other neurological problems as well. They are examining him but didn’t come up with any diagnosis yet. Anyway, it seems to be somehow genetic, I was suffering from separation anxiety when I was kid though my mom was overprotective — something that I try to avoid as a mom now.